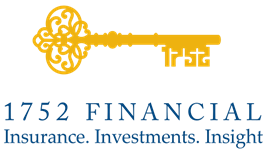 Our Mission | Matt Brotherton - 1752 Financial, Inc.
At 1752 Financial, we are passionate about providing you with independence and confidence in your financial future. That’s why our first priority is to help your family prepare for life-changing events, such as death, disability, or long-term care. Only then do we move on to focus on wealth and retirement planning, legacies and college funding, and other key concerns of our clients. Our clients have wide-ranging interests and needs, and we provide the insurance, investments, and insights to help them reach their goals. The first insurance company was founded in 1752, and life insurance has helped protect families ever since. To honor that legacy, and to remind us why we do this, we named our company accordingly -- 1752 Financial. We put our clients’ best interests first, even when it means having tough conversations. We do it because that’s what right for the client. Our main office is located in Richmond, Virginia, where our company was founded, but we serve clients across the country, including Virginia, Maryland, Washington DC, North and South Carolina, Tennessee, New York, Massachusetts, and Nebraska. So what sets 1752 Financial apart? We are an owner-operated firm. Like many of our clients, we are small-business owners, and we take pride in helping to anchor the communities and towns in which we live and work. We believe in an open-architecture approach. We seek best-in-class solutions from some of the top companies in America, and we also seek out little known boutique investment managers that offer professionalism and value to our clients. We take pride in meeting your needs, so when you refer us to someone you know, we see that as the ultimate compliment. We believe that what we do is a vocation, not a job. Our goal is to help people, not to manage their money. Our focus on people and families is what sets us apart. Our goal is to provide such excellent service that one day we serve our clients’ children and grandchildren. To that end, our team members are carefully selected to ensure that each person who serves you is not only knowledgeable, but truly cares about protecting your family. Our primary advisers have a combine 30 years of experience working with clients, you can rest assured that we will do everything we can to keep you focused on where you want to go, advise you on how to get there, and help you develop a disciplined approach to realizing your dreams. At 1752 Financial, we are committed to helping our clients meet their dreams and goals become a reality. Our passion is to be there for you through all stages of life. Working together, we will help you develop a financial plan, set goals and priorities, and discuss how to achieve those goals. Emergency Situations – We will help you ensure that your family is protected, no matter what life may throw at you. Joyful Occasions – We will guide you through the financial implications of those wonderful moments in life, such as marriage, births, and retirement, so that you can fully enjoy them. Legacies – Your family is as important to us as they are to you. We will help you plan for college expenses, life changes, and legacies for your children. We value simplicity in language, products, and execution. It is important to us that our clients fully understand what we are doing to help them reach their financial goals. We will do everything we can to make sure your priorities are met, and that you are involved with and understand every step we make toward your goals. Contact us today to find out how we can help you achieve your goals.